Innovative & collaborative Council, supportive & fun team, wellbeing programs & more! Located along the banks of the Yarra and situated just 7kms from Melbourne’s CBD, The City of Stonnington covers a vibrant and diverse municipality including inner city Prahran, South Yarra, Windsor, and the leafy green suburbs of Armadale, Malvern and Toorak. Stonnington has an enviable record as an innovative and progressive Council, striving on making a positive difference to those in the municipality and having a commitment to providing a culture where employee health, wellbeing and development are a priority. As a Project Manager, you will work on a wide range of municipal projects with a focus on project management, design and construction supervision within Council’s Urban and Infrastructure Projects Department. You will oversee projects to ensure they are planned and executed in line with sound engineering principles, urban and landscape design, heritage principles and OHS standards. To be successful in this position you will have completed, or be working towards, your Bachelor of Civil Engineering, and have relevant experience within the design and construction industry. You will bring with you a strong knowledge of civil engineering principles, as well as experience in surveying various landscapes and structures. Working with various stakeholders, you will have the opportunity to demonstrate your excellent communication and problem solving skills. The City of Stonnington has a strong commitment to providing a culture where employee health, wellbeing and development are a priority. As well as regular learning and development opportunities, you’ll also have access to some fantastic benefits including participation in our award nominated Wellbeing Program with discounted gym and aquatic memberships, regular exercise programs, health and wellbeing events and more! Additionally you’ll have a work life balance, receive annual leave loading, priority access to Council managed childcare facilities and maternal child health and immunisation services and work for an organisation with a dedicated Green Team. 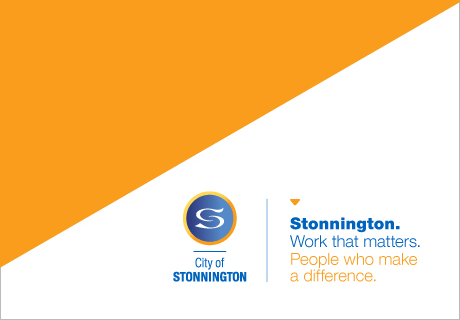 Be part of Stonnington. Work that matters. People who make a difference. For position related queries, please contact James Edmond on Ph: 82903540.